There needs to be a left turn, delayed light at this intersection, for traffic heading west on 62 avenue North and turning onto 25th street. (Recently a left turn delayed light was installed for traffic heading east on 62 ave, and it's been helpful). However, there was another accident last night around 7:30 p.m., that tragically, resulted in a death. About an hour and a half later, another accident occurred near this same intersection. Traffic on 62 avenue north should be slowed down considerably. Is it possible to install a light at 28th street in order to slow traffic as well? There is a meeting on the 17th regarding this intersection. You should come .. Thank you for taking the time to “Report an Issue” via Doing Things for you ! The issue has been received by Pinellas County Public Works Traffic Engineering Division, so we can investigate and take any necessary action. Semi Tractor parking in residential neighborhood . please nip this in the bud. We are striving to improve our services. Please visit www.pinellascounty.org/surveys/code to tell us how we are doing, Thank You! Pile of trash has been growing on this section 8 property for three weeks . I have wondered what the deal is with that house. Insufficient information has been provided to process your complaint, please contact our office at (727) 464-4761 to provide further information. If we do not hear from you within 48 hours this issue will be closed. Thank you for taking the time to “Report an Issue” via Doing Things for you! Issue 5745544 has been marked as a duplicate of this issue. 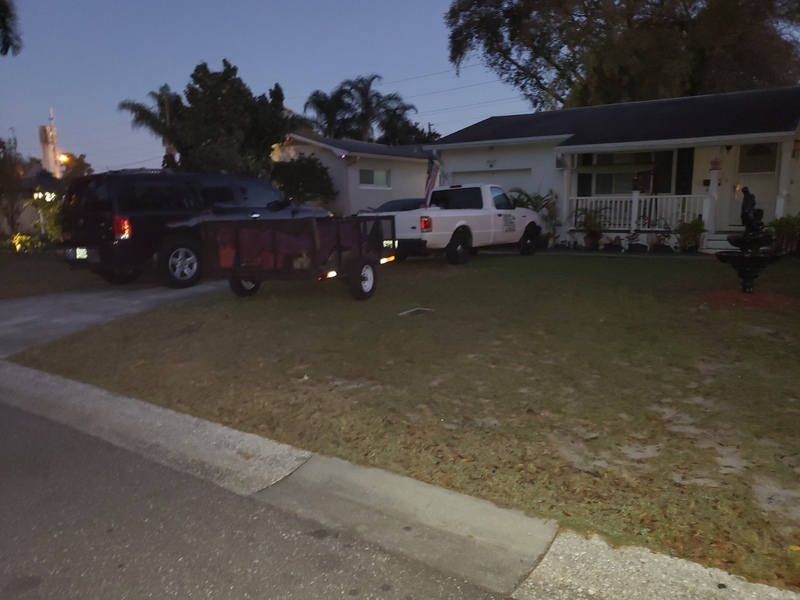 He parks his large truck and tree business trailer in the front across the driveway blocking the sidewalk. 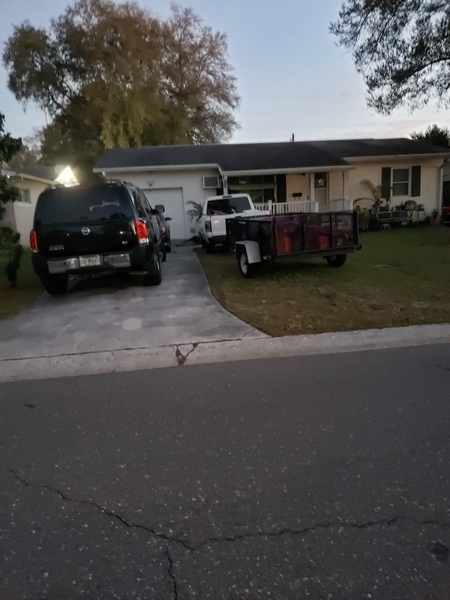 To walk around his house when out walking with my children you have to walk into the street because you cannot walk down the sidewalk since he's totally blocking it off. To make matters worse when cars are backing out they cannot see around the trailer which has almost caused many accidents. At 9pm last night I measured the noise levels to be between 70 and 75 db while standing in the street opposite the machine. When we go into our home, close the windows and doors we can still here this machine running. We have asked them to do something about the noise both personally and via mail. They refuse to do so. According to Sec. 58-450 of your Website, Commercial locations adjacent to residential locations should keep the noise below 60 db between the hours of 7am and 11pm. Initial action has been taken regarding your complaint. The responsible party is being notified of the code violation and we have asked for their cooperation in bringing the property into compliance. Code Enforcement will continue to monitor the property under complaint number CL19-00730 until compliance is achieved. Should you have any further questions or need additional information please contact Code Enforcement at 727-464-4761. We are striving to improve our services. Please visit www.pinellascounty.org/surveys/code to tell us how we are doing, Thank You! What is the non emergency police reporting number for Lealman and Kenneth City? How long does a property have to come under compliance? What happens if it doesn't? Why are issues closed when problem has not been fixed?